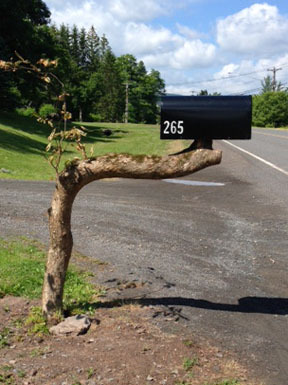 Send us a pix of your wild, wacky or unusual Mailbox! Trail tree for Tree mail. This entry was posted in Uncategorized and tagged americana, firewood, folk Art, Indian Trail Marker, mailboxes, outsider art, USPS. Bookmark the permalink.